Most wildlife management and exterminator companies in Northern New Jersey show up to your home without a ladder, and those that do have one are most likely only bringing along a small step ladder. 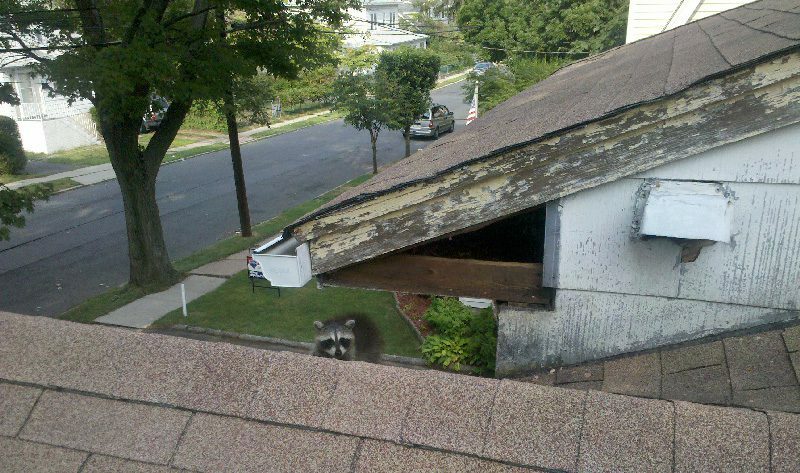 It’s amateurish at best and when you’re dealing with raccoons, squirrels, bats or other wildlife invading your home you want a professional wildlife remediation company to quickly and effective deal with it. Fur Finder LLC in Northern New Jersey goes beyond just the basic ground level inspections as their professional wildlife management technicians deploy a host of state of the art tools, including ladders up to 40’ high. This ensures that your wildlife infestation is fully assessed and addressed the first time, which is why Fur Finder, LLC in New Jersey stands by their work with a guarantee of service for a minimum of three years. Fur Finder LLC is the premier wildlife management and removal company in Northern New Jersey offering professional removal and exclusion services in Morris County, Union County, Hudson County, Sussex County, Essex County and Bergen County. 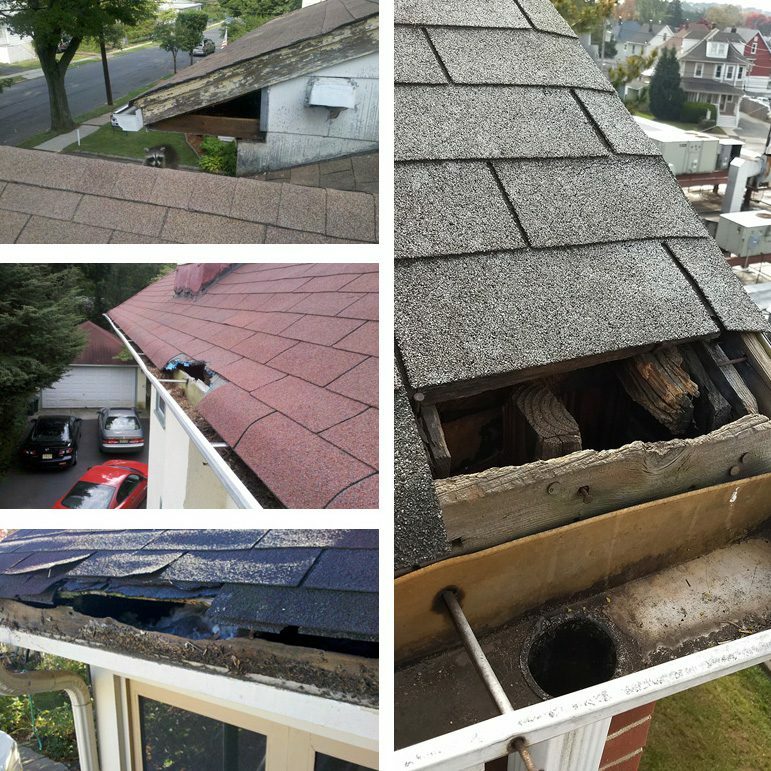 As you can see from these photos, wildlife such as raccoons, squirrels, bats and other critters can wreak havoc on your roof as they invade your home. It’s important that when you call an exterminator or wildlife management company they have the tools necessary to identify and remediate the problem immediately. Fur Finder LLC of New Jersey not only has the tools, but the experience and guarantee the work of their professional technicians.